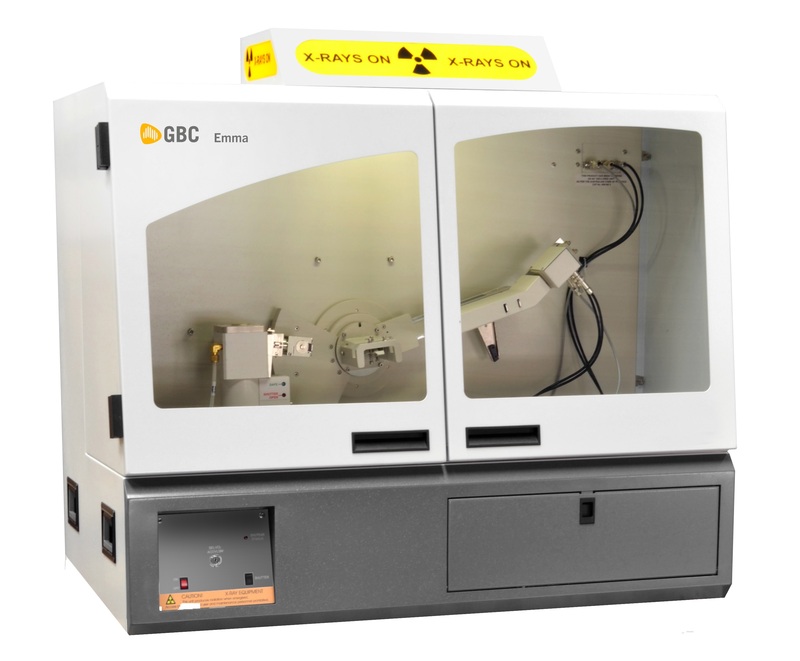 The εMMA (enhanced mini-materials analyser) X-Ray Diffractometer although compact in size, offers enhanced capabilities to the end user. The original design of the MMA included such features as interchangeable parallel beam and focusing geometries, variable radius, provision for multiple detectors, interchangeable optics and many different stages. θ-θ mode – to maintain a horizontal sample stage, essential for high temperature and non-ambient sample chambers. New advanced microprocessor controller, offering 8 simultaneous axes and Ethernet comms. εMMA has an IP address on a network, and can be driven from any PC on the network, or indeed the Internet, subject to bandwidth and other packet data constraints. New sample stages for large, heavy and bulky samples, in addition to spinning, capillary spinner, and mounting provision for a select few non-ambient stages available from PAAR ®. New primary beam optics such as confocal graded d-spacing mirror for transmission and Capillary modes. New software enhancements – includes an “accessory picker” that allows instant re-calibration after interchange of any beam component for Visual XRD. Traces includes integrations with the latest release of the ICDD databases PDF-2 and PDF-4+. Much work has been done on thin film, surface analysis, depth profiling and reflectometry using a parallel beam detector with a very fine divergence slit. This gives particularly impressive results when used with the unique Solid-State Peltier-cooled Si PIN Diode detector. This detector offers 3 x – 4 x better sensitivity then the traditional Xe proportional detector with a curved graphite crystal monochromator. 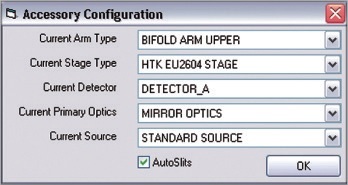 For rapid interchange options, each stage, optic and detector has its own calibration and swapping configurations as easy as selecting a new item from the accessories picker.